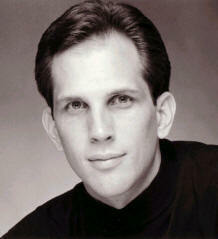 G. B. Lamperti was a historical voice teacher that left many lessons through the book Vocal Wisdom. I feel these are the most accurate teachings we have available to us and I try to explain the concepts in these video lessons. Failure to sing well comes from four sources: – loose breathing, mouthing words, spreading voice and disjointed muscular efforts. Singing will be awkward unless focussed vibration, distinct pronunciation and compressed breathing remain inseparably linked together. To retain sensations, and continue the feeling of coordination of singing, without constricting the throat or stiffening the muscles of the body, marks the great singer. If you want to have access to more frequent lessons and discussion consider joining the VocalWisdom.com Private Community here. Thanks, Annette. Good to hear! That makes so much sense. Thanks so much for sharing. I’m just about to embark on some professional training so I’ll be doing lots of research and will definitely be keeping an eye on Vocal Wisdom….. excellent. Wow, Marianne. What a beautiful thing to read. I appreciate your message very much. Thank you.